Before social media, brand visibility and link building was the domain of online directories, forums, creating lead magnets, paid strategies, and direct blogging among others. Now, social media has become one of the most important platforms for increasing brand awareness, generating qualified traffic, and consumer engagement. As a result, social share icon have taken a prominent role in website design. The proper placement of the social icons, and the design of the social shares themselves can affect engagement and amount of qualified traffic to your social media pages. Before social media, website design limited how consumer could access content and how they interacted with other people. Social media revolutionized how content could be accessed, consumed, and shared, and how people interacted with one another. This has affected how consumers perceive and judge a business. People expect similar type of content, interactivity, and experience when they visit other websites. Hence, you have to focus on creating quality design for your social media pages. You have to create social profiles that grab the attention of your target audience, hooks them with your content, connects them to your message, and makes it easier for them to find further information about your business and follow it. If your social media pages do not offer the same level of engagement, do not offer relevant information or content, or make it harder to follow your business, you will lose valuable leads. Before social media, long-from content was often the hot bed for over the fold ads and hence bad user experience. Hence, long form page design was becoming a boon to visitors because it meant that a lot of content had to consumed/passed-over before they could get to meat of the material. Additionally, scrolling was seen as failure of the website to readily communicate its message to the visitor. As a result, websites were designed to break the content into chunks, and hence multiple pages. After social media and thanks to responsive website designs that re-align content (and font size) to make them viewable on devices, scrolling and swiping have become an essential part of the user experience. Coupled with parallax design, websites can now continue to keep their audience and visitor engaged longer. Before social media, visual content (unique high-res images and videos) were rarely seen as essential components of engaging visitors. Stock images were readily used on website pages and in shareable content. Backend programming or installation of plugins that will load the content when it is required (for instance the popularity of lazy load plugins that prevents the page from loading all the images to increase loading speed). As a result, websites have to be designed to be light on the user-side and heavy on the server-side, allowing faster loading times and richer user experience. Before social media, consumers were dependent on how a website organized content and allowed interaction with that content. As a result, consumers did not have a single, standardized “sense” of what a good user experience and interaction meant. Hence, content organization and page and navigation design were primarily the domain of the business. Social media has made access to information very easy. Simpler menus, content cards, intuitive interaction with content, and ready availability of multiple forms of content has made seamless interaction with content a core expectation on any other website. Now web design has to focus more on presentation of not just content but the controls that can be used to access the content available on site. This places a lot of focus on the design of the navigation pane and how menus are arranged and how each menu is categorized with further sub heads. Before social media, website designs could easily remain ad-friendly and leverage their useful content to display ads over the fold and use intrusive ads. After social media, website designs can no longer prioritize ad-displays, and instead must prioritize user experience on their pages. Social media platforms (Facebook, Instagram, Pinterest, Twitter, etc.) are designed to be effectively used on smartphones. How ads are displayed on these platforms has radically altered how consumers expect to see ads on any business website. As a result, the traditional obtrusive ads only increase bounce rates, forcing the website to focus more on designs that put content first and ads second. Facebook reported in June 2015 that on average, 844 million users were accessing its platform through mobile, daily. Facebook, along with other social media platforms are catering their mobile users by tailoring their apps so that their content is always displayed without compromising engagement or user experience as they migrate between devices. 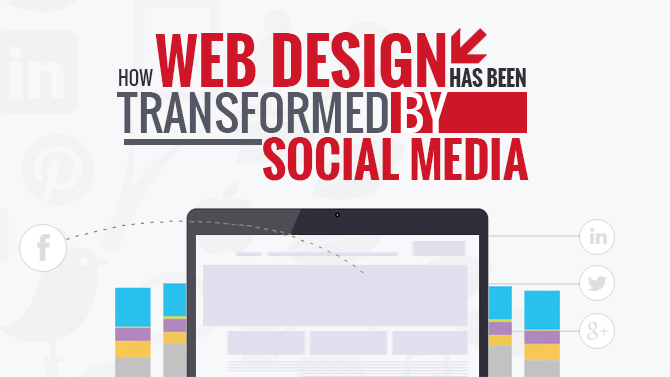 They achieve this through responsive web design. A responsive web site uses fluid grid systems that allow them to sense the screen size of the device and automatically adjust their size and content so that the user can easily interact with it. As a result, after social media customers expect websites to be responsive, automatically sense and readjust to their device’s screen size and hence offer them a seamless user experience across devices.